The Bahrain Grand Prix is a Formula One race event held in Bahrain at the Bahrain International Circuit. It is usually the second or third race on the Formula One calendar, but swapped places with the Australian Grand Prix in 2006 and 2010 to open the season. The first ever Bahrain Grand Prix took place on 4 April, 2004. It also holds the distinction of the first nation to host a Formula One race in the Middle East. It was also awarded “Best Organized Grand Prix” by the FIA. In 2011, the race was cancelled due to the Bahraini protests. 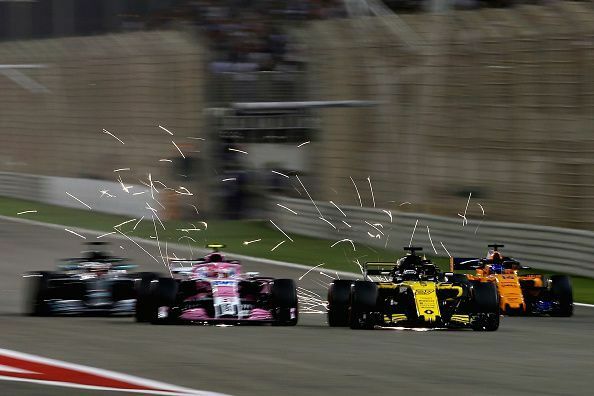 In 2014, the 10th edition of Bahrain Grand Prix was held as a night race, thus making it only the second ever race to be held under floodlights after Singapore Grand Prix. All races held at the venue since have been night races. Lewis Hamilton won the inaugural night race at Bahrain. The first corner of the track was named after 7-time Champion Michael Schumacher in honour of his achievements and also to show their respect and support to him after he faced an almost-fatal skiing accident in December 2013. The German won the first race in 2004. Fernando Alonso became the first repeat winner at the venue, with back-to-back wins in 2005 and 2006. Felipe Massa won the subsequent races in 2007 and 2008 to emulate the Spaniard. A unique characteristic of the track is its giant run-off areas, which have received widespread criticism for not punishing drivers who stray off the track. This very feature also makes Bahrain one of the safest track in the world because they prevent sand from getting onto th track. This ensures drivers hardly lose traction due to foreign sand on their track. Alcoholic beverages are legal in Bahrain, but at the end of the race, drivers spray a drink called Waard, which is non-alcoholic rosewater. The race has been sponsored by Gulf Air from 2004. Sebastian Vettel has been the most successful driver at the venue with 4 race wins. Fernando Alonso has 3 wins, and Massa and Hamilton have 2 wins. Ferrari has been the most successful constructor with 6 wins at the venue split by 4 different drivers. Bahrain GP preview: Will McLaren leave F1? Bottas benefitting from change in mindset... and a beard!